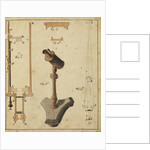 View of a microscope shown on a pedestal stand: with a section through the instrument, a scheme of its optical arrangement and details of the mirror-based instrument. 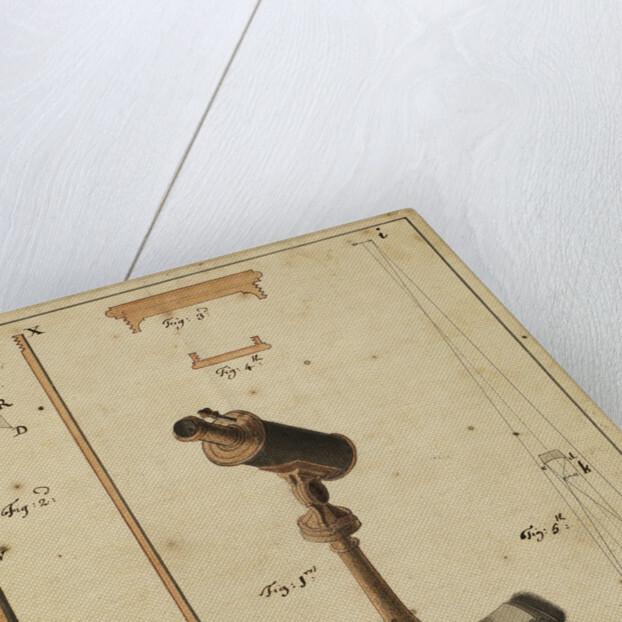 The microscope was inspired by the Newtonian reflecting telescope. From the manuscript paper "An account of a catoptric microscope", by Robert Barker. Not signed. Royal Society Register Book Original, vol.19 1734-1736, pp.256-260. 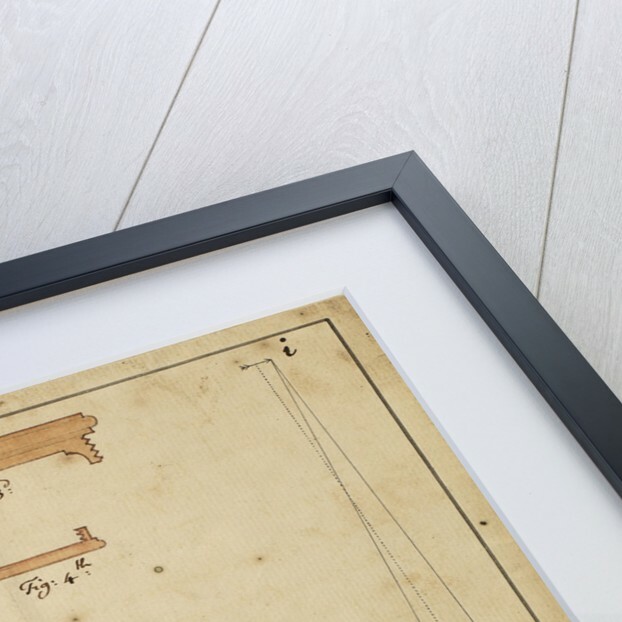 The paper was read before the Royal Society on 8 January 1735. 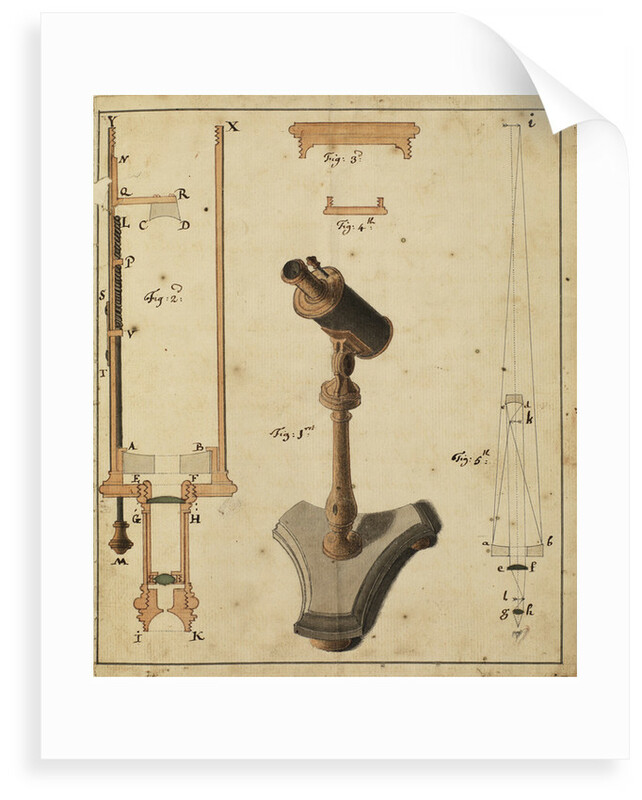 The image formed the plate to the printed paper "A catoptric microscope", by Robert Barker, in Philosophical Transactions of the Royal Society, vol.39, 1735-1736, pp.259-261. More by the artist Robert Barker. 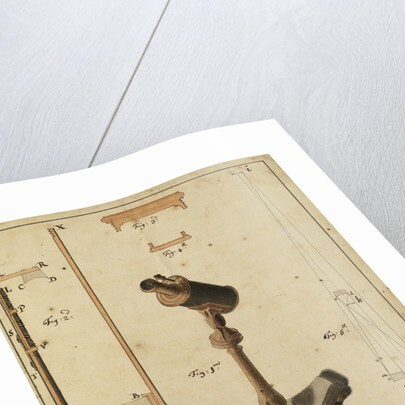 Explore the collections Scientific instruments diagrams, art and prints, Vintage, antique microscopy prints, Vintage, antique physics prints.